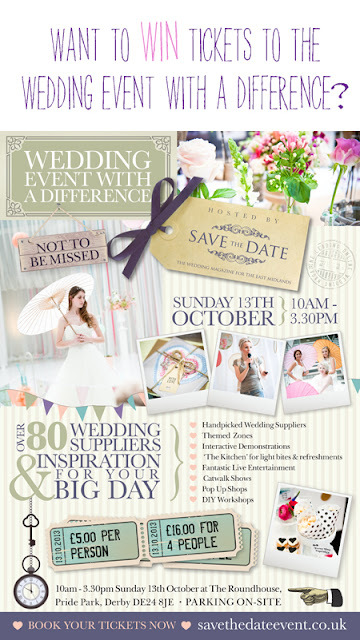 Today we're delighted to give you the chance to win tickets to the Wedding Event with a Difference. Hosted by Save the Date,this is an event not to be missed! Taking place on the 13th October 2013 between 10am and 3:30pm, there will be over 80 suppliers ready to give advice, inspiration and showcasing all kinds of pretties for your big day. Amongst other things there will be themed zones, interactive demonstrations, live entertainment, catwalk shows, pop up shops and seminars - one of which will be led by our own Tracey Campbell on the pros and cons of tackling your own wedding flowers. 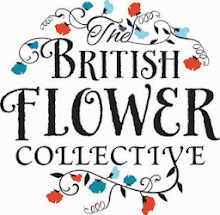 Pop over to read all about what we'll be saying at Speaker's Corner on the Save the Date blog. All you need do to be in with a chance of winning 4 free tickets, is drop us an e-mail at campbellsflowers@gmail.com saying which flower best represents you and why? Sooo, I asked Tracey which she would choose and she said she wouldn't be a flower at all as it would be far too hard to choose. She said she would be ivy, because it binds things together and is very strong and resilient! Quite useful I thought really! Just to let you know, the competition closes at midnight on the 6th October and the winner will be picked at random and announced on the 7th October. So, as those of you who following our flowery diary will know, this weekend was super busy as we designed gorgeousness for two weddings - and attended one of them (complete with manicured nails and ludicrous heels)! 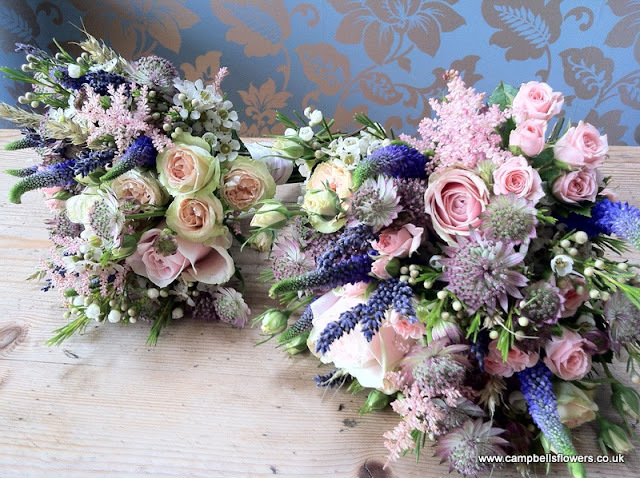 Back at HQ, Amy and I got to chatting about wedding trends in general and how our 'just picked', wild-flower style can be adapted to create very soft, feminine bouquets which are a little more structured but still have that all important element of being very natural. 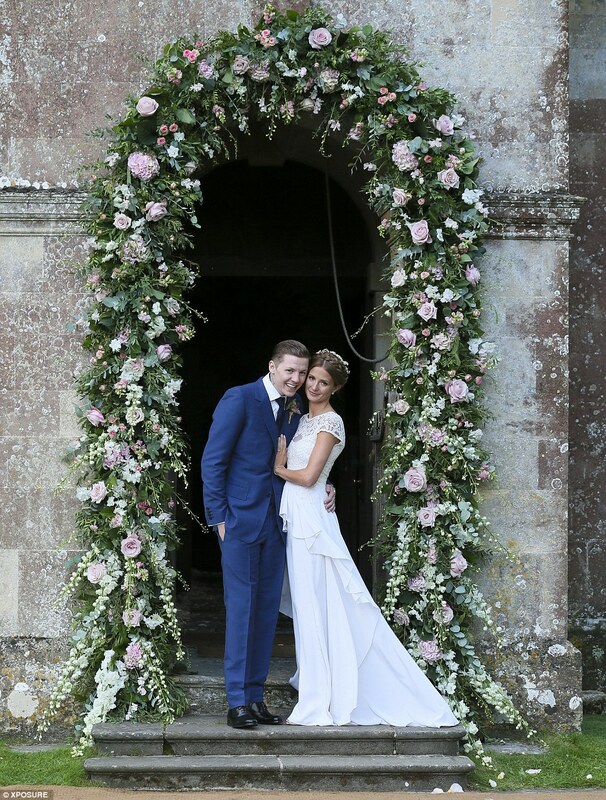 Being a huge fan of Made in Chelsea, Amy showed me all the latest pics from last week's celebrity wedding between socialite Millie Mackintosh and rapper Professor Green on the Mail Online. What seems pretty clear from the photos is that regardless of budget and venue; relaxed, informal weddings are very much here to stay. Simple, elegant gowns, beautifully cut, often with lace detail and tiny beaded embellishments are being worn at all manner of weddings by all manner of brides. 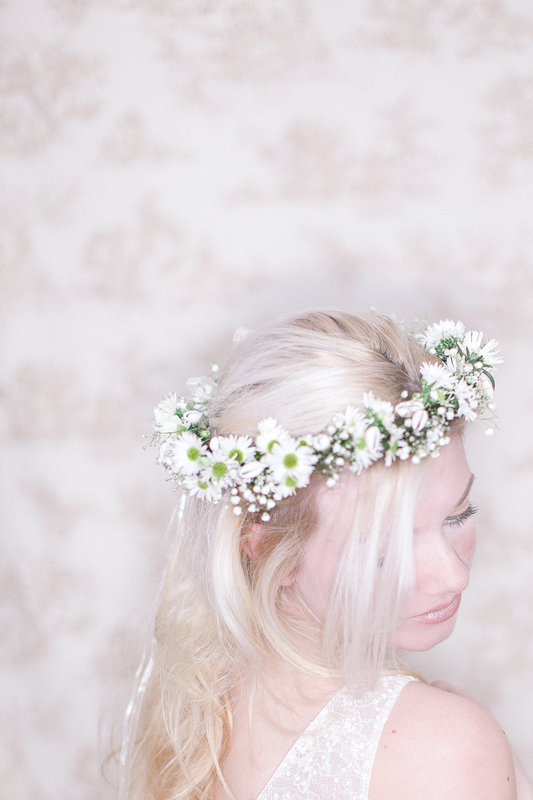 When it comes to all things flowery, though, we've definitely noticed that more is more! 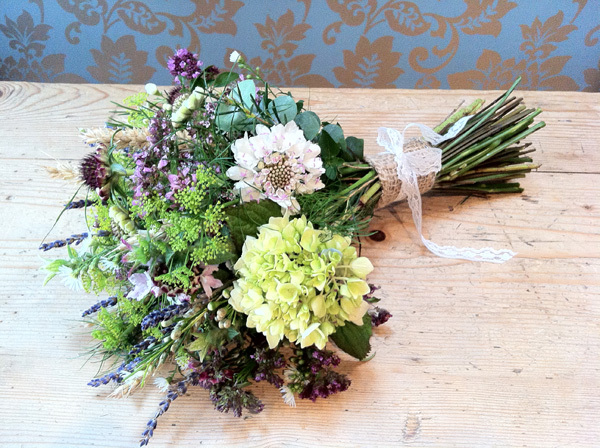 Blooms are pretty, delicate, with a quintessentially British look - think cottage gardens, bees and butterflies. 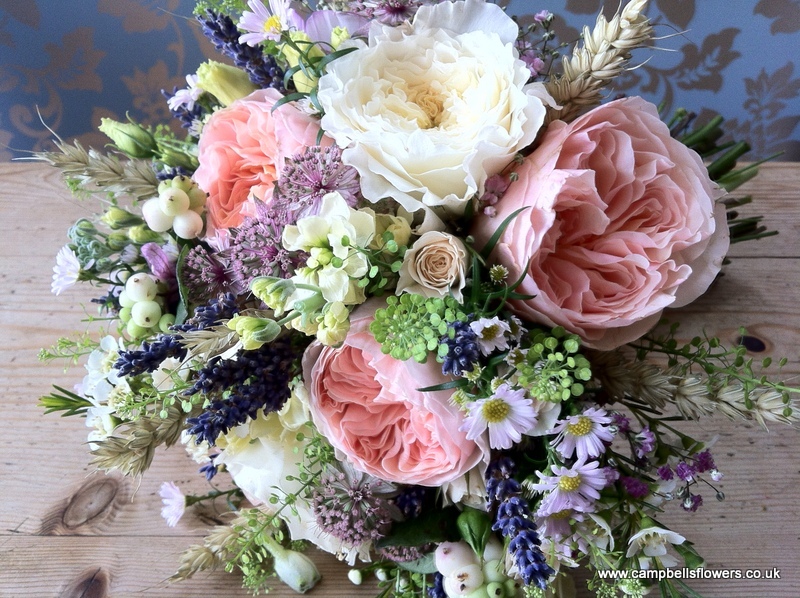 Styling is slightly unkempt, natural and full of cabbagey roses but there's lots of them! We find that our bridal bouquets contain lots of different blooms to create that really pretty, textured look - Roxy's bouquet at the weekend contained no fewer than fifteen different flowers and foliage! Happy to embrace trends as always, we're over the moon that our brides are looking for soft, pretty flowers which have really taken over from the more structured and constrained ways of old. Hurrah for that! 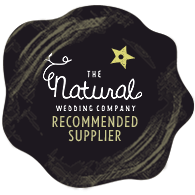 Amy tells me that the new series of MiC is on it's way and we'll be keeping our eyes peeled for more on the wedding and crossing our fingers that one of our brides wants a floral arch like this one too - hopefully using locally and British grown beauties! 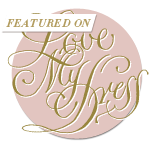 If you're looking for ideas and inspiration, then stay tuned, as we're currently working on our latest edition of Inspire, or pop over to our Wedding Flowers page on the website for lots more prettiness or browse our Campbell's Weddings page on the blog too. Just wanted to take the time to introduce myself, my name is Amy and I will be working here at Campbells HQ with the amazing Tracey up until I have my little baby in the Winter, however, in the words of Arnie "I'll be back". All being well I will be back with you in the Spring, hopefully a little lighter, but probably a little more tired. 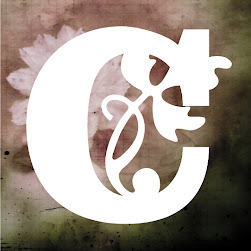 You will be hearing a lot from me as I will be helping out with blog posts, social media and wedding fayres. It took me all of 2 seconds to say "Yes", when Tracey asked me if I would work with her, the thought of working with someone I admired and got on with so well was a concept I just couldn't turn down. To help you get to know me, Tracey suggested that I tell you what my favourite flower is and how that relates to me but to be perfectly honest I just can't choose! 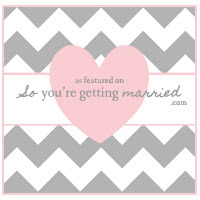 So, I have decided to tell you a little bit about my own wedding flowers and the style I like. 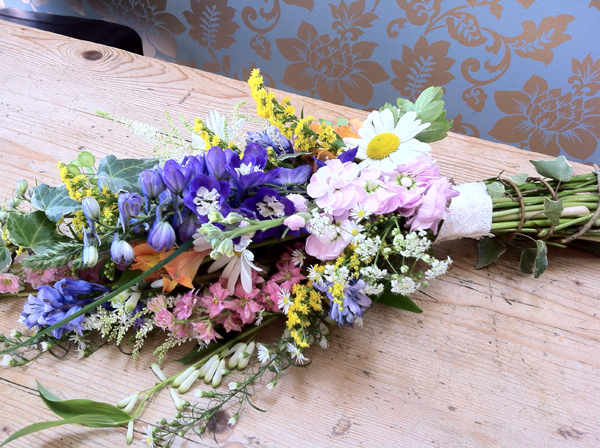 I got married down in Cornwall back in 2007, a couple of days before the wedding we went to have a little chat with a local florist, there was only me having flowers as I didn't have any bridesmaids (unless you count my little dog) as it was a small intimate wedding. The brief we gave her was that I wanted it to look like I had just bent down in the middle of a meadow and scooped up a bunch of flowers. As you can see from the picture she really took my brief on board and this is what she came up with. Well the preserving your bouquet blog post proved incredibly popular, bringing in some really quite exciting stats - it seems to have struck a chord with many of you who just want to preserve the life of your bouquet to remember it as part of your fabulous day. One such person is Keli, one of our lovely Brides from May this year and, after having read our original post, got in touch - which prompted this update. She and Pete had a really wonderful wedding in the wilds of the moors on the outskirts of Glossop, embracing the time of year and incorporating seasonal pretties into their designs such as Hawthorn (May blossom) and many other wildflowers. Pete and I had a secret between us too! He wanted his two best women to wear buttonholes which were the same as his and, to create a lovely synergy, sent me an extra tie - an exact replica of the one he was wearing on the day. I was to cut this up and finish all the buttonholes with a scrap of the tartan fabric so that all the 'best' women, groomsmen and ushers were carefully co-ordinated. After reading your latest blog article on preserving wedding flowers I though you might like to see how mine are getting on ... as proof that your great advice worked! : ) I have attached a few pics (although I am not the best photographer in the world I may have gotten a little carried away, hope you don't mind! Apologies if it has clogged your inbox!). The flower crown and bouquet have both air dried really well, My bouquet hangs on the wall in our spare room and although the colours have faded a little the pinks, blues and orange still have some vibrancy. They have a faint scent of wildlfowers as well which is lovely (and not the sweet smalle of moulding thank goodness!). The crown has been left to dry on a flat surface and it's preserved them really well. They're still quite firmly attached to the ring and the ribbons still make me smile every time I see them. I must admit though, I think it is Pete's buttonhole that pleases me the most! I popped it in a flower press he bought me a couple of years ago for Xmas, just before we went on honeymoon. Must have left it in at least a month and was quite nervous about it as it was the only one we had left and I had some pressing disasters in the past. But it turned out wonderfully! The colours are bright, the shape is beautiful and the scrap of tie really stands out - which makes me remember how important that little secret was for him and you and I can't tell you how happy that makes me. I am so grateful for all your help and for your tips when I emailed regarding preserving them. I hope they will last me for some years to come and will be looking out for those silica gel packets so I can pop them in a box if needed. Hope you've been enjoying this fabulous weather, although as I type the rain is hammering down giving the garden and all the pots and baskets a bit of relief. Today I'm bringing you a post all about preserving your wedding flowers - I've had quite a few of my Brides get in touch with me over the Summer asking how they can keep their flowers longer than they would usually last. Of course, many of you will have your wonderful wedding album full of lovely photos, but more and more of you are looking for a little bit more than that - a tangible keepsake to pass on in the future. This is the time-honoured way of preserving your bouquet. Simply hang it upside down in a well-ventilated spot and let the flowers and foliage dry out. You'll find that you will lose some of the colour as the petals dehydrate and become less vibrant. Also you will need to keep an eye on the bouquet and re-tie the stems as they shrink in size the original bindings will loosen. Bear in mind too that although this is by far and a way the cheapest way of keeping your bouquet, it will be terribly fragile too, so you'll probably need a nice box with a bed of tissue and a couple of those silica gel sachets to keep it safe. Here's one I prepared earlier (!) using all British grown flowers in a bouquet I made last October - it's stood the test of time pretty well really, especially given it's had to vie for place amongst sheaves of wheat and bunches of Yorkshire lavender in my studio!